An extension to the iconic Tolomeo family, Tolomeo Mega features the same arm balancing system as the Tolomeo table lamp combined with a selection of parchment or fabric shades, creating its own sub-family. 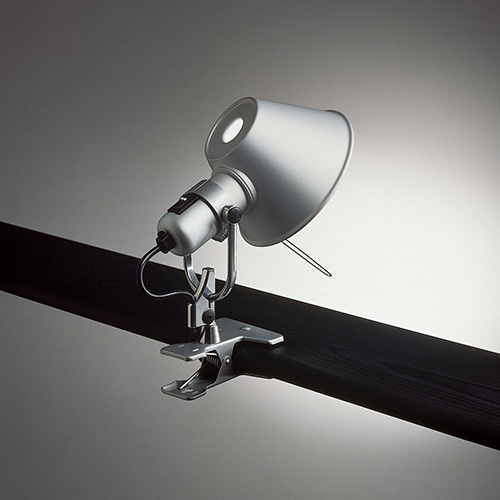 Available in table clamp, floor, wall and suspension versions. 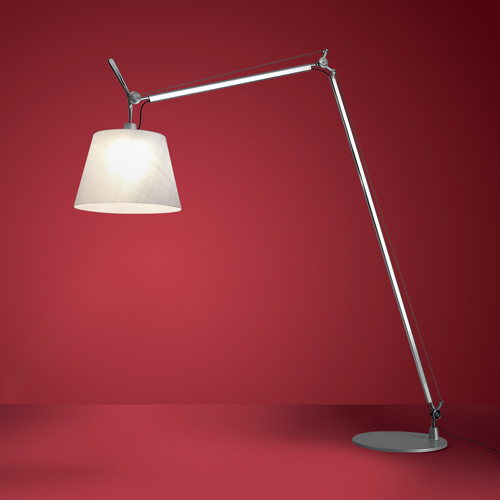 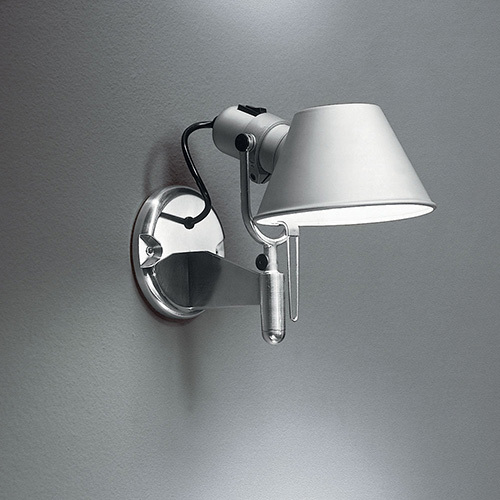 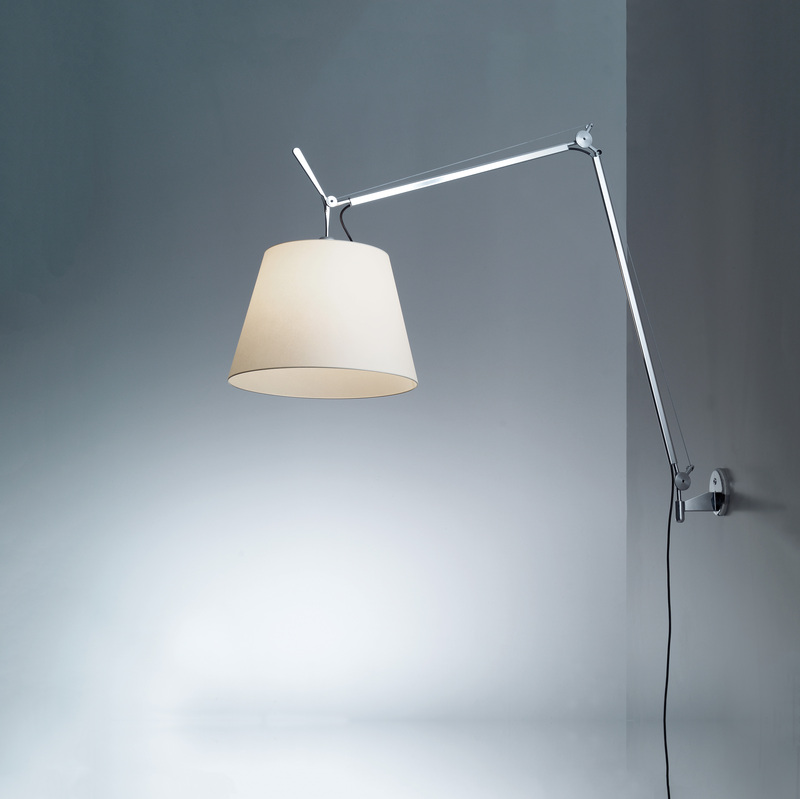 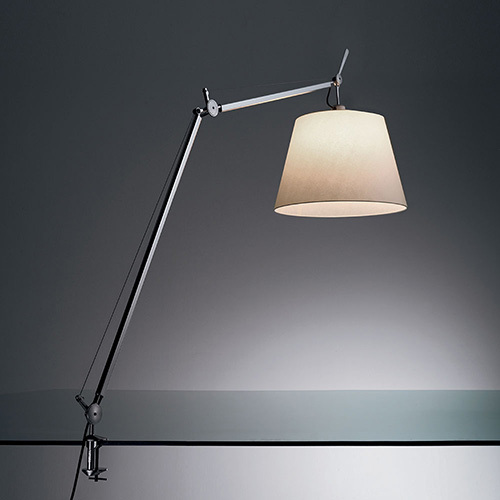 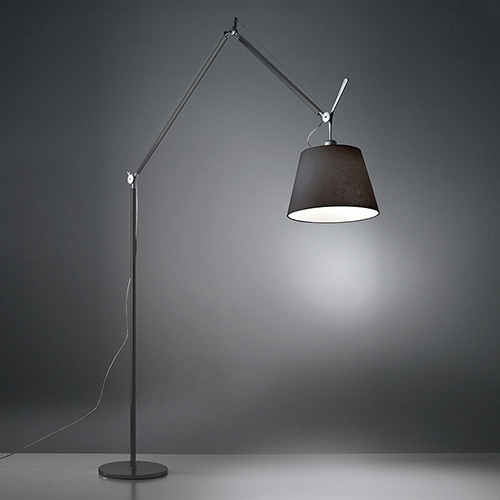 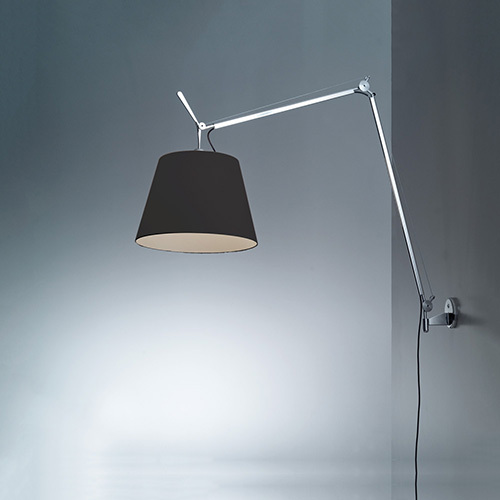 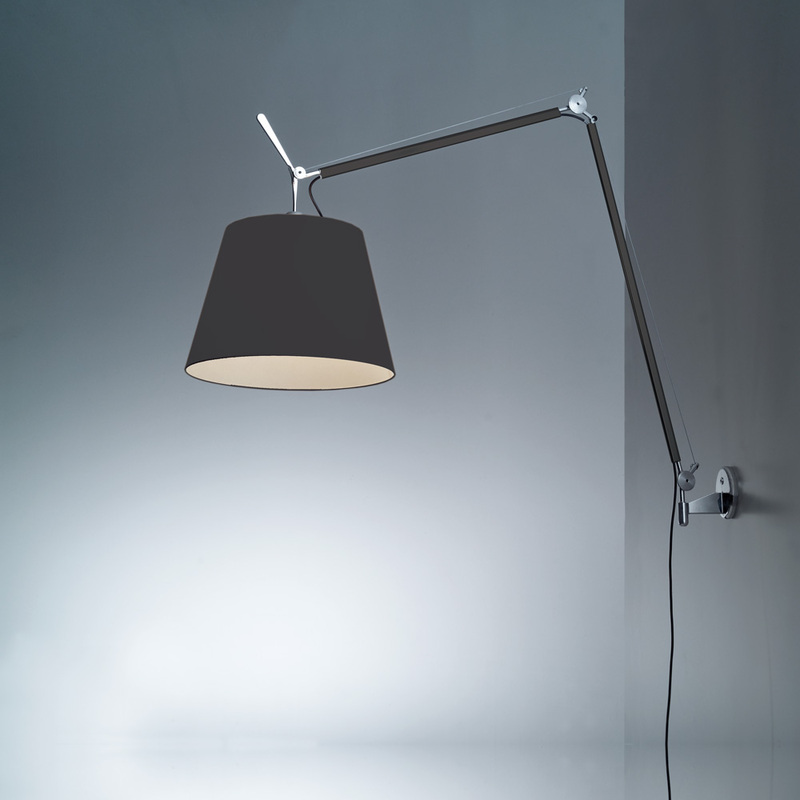 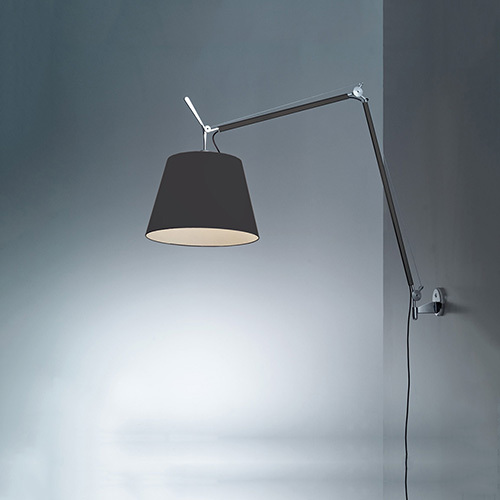 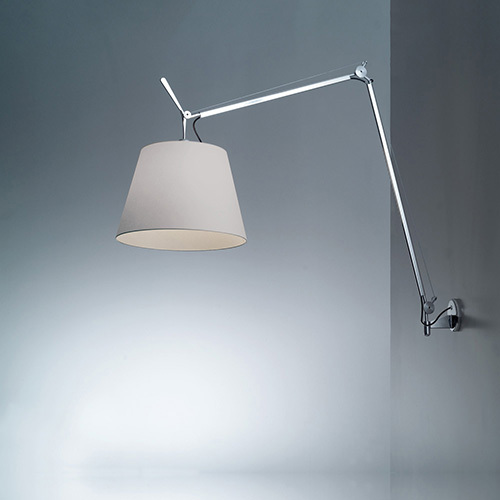 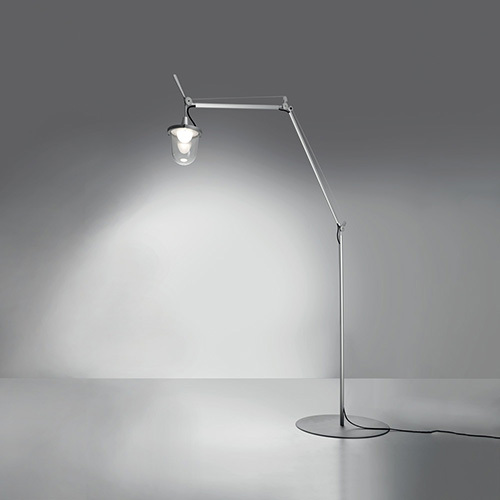 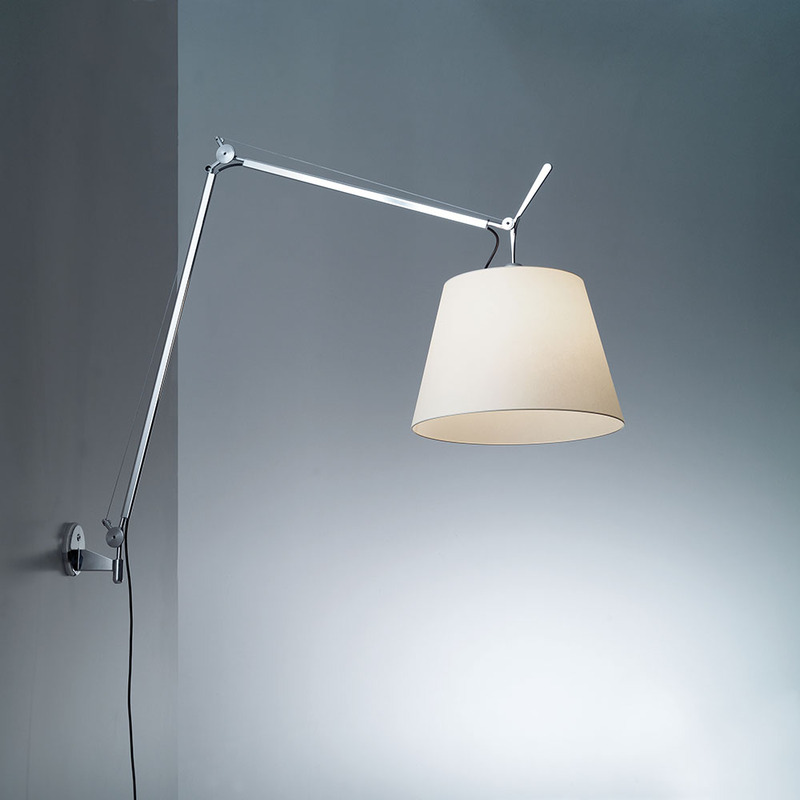 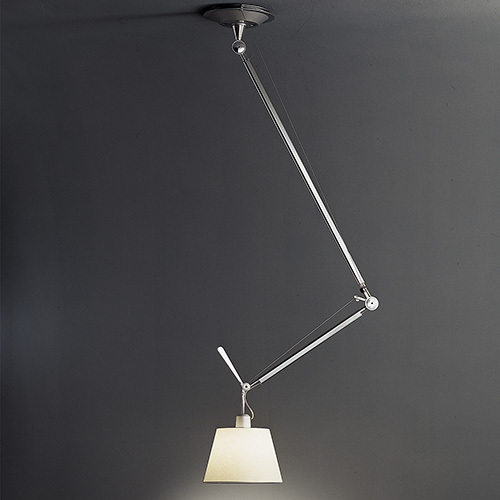 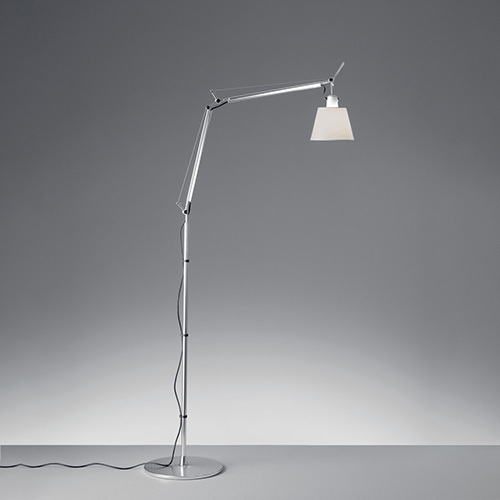 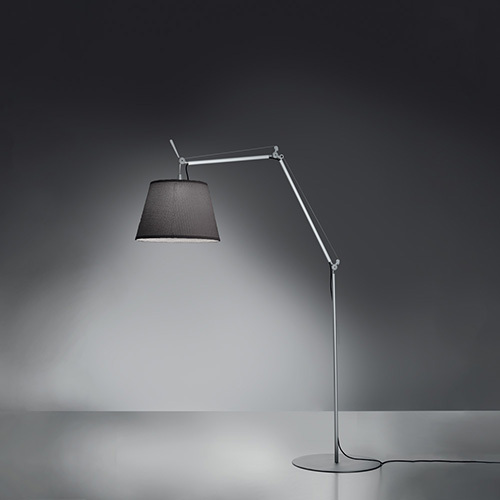 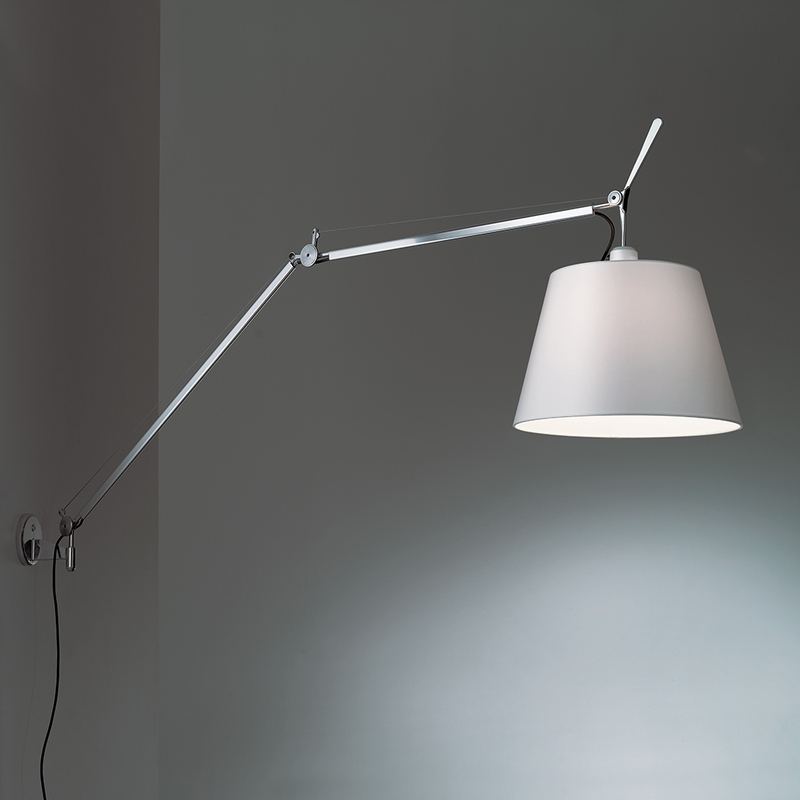 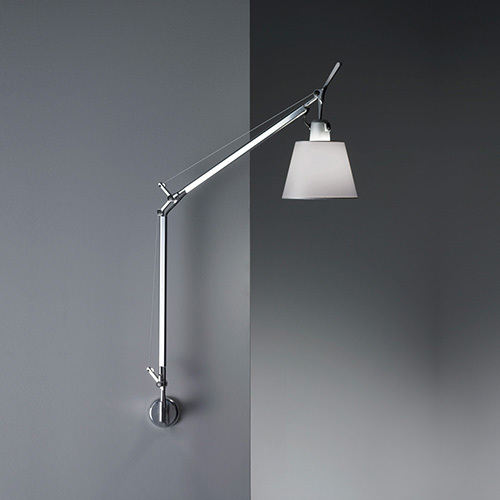 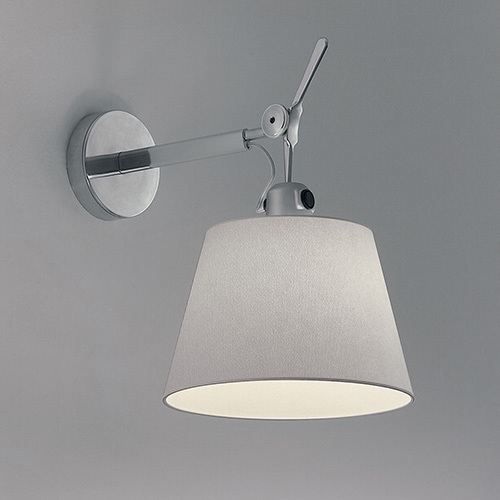 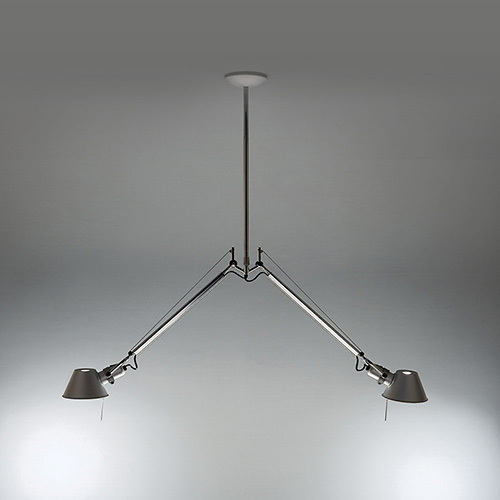 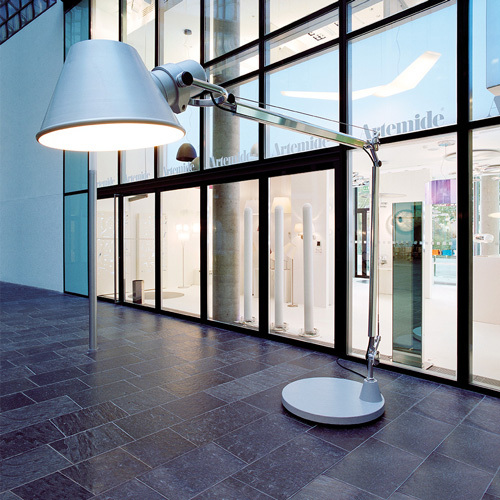 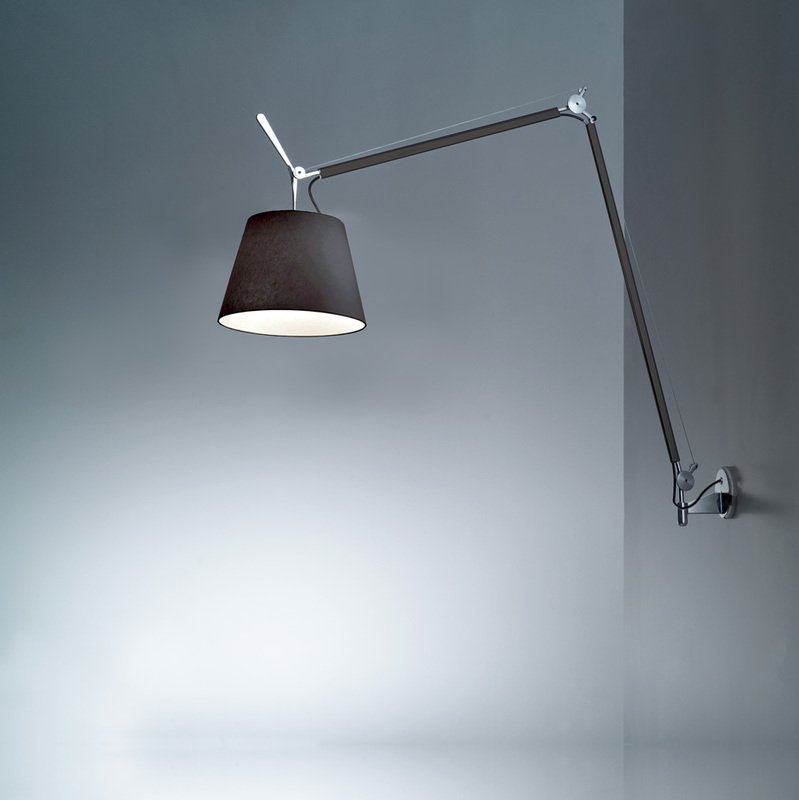 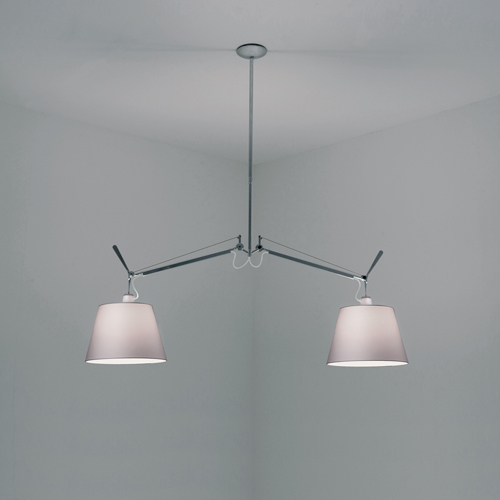 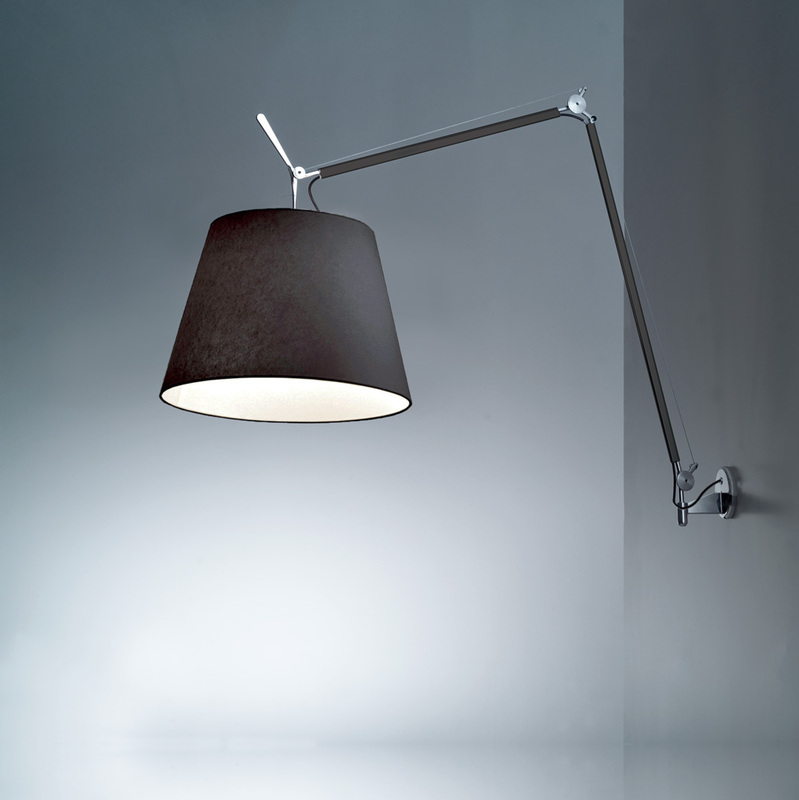 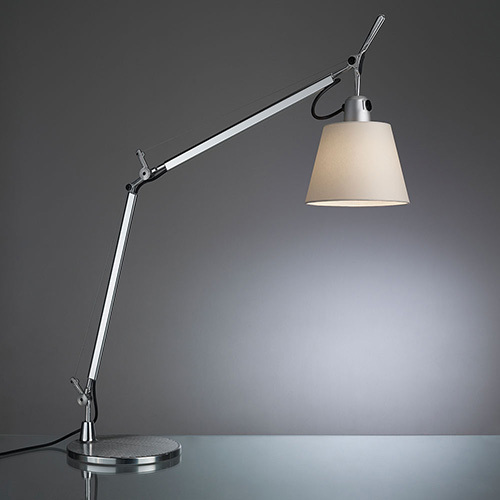 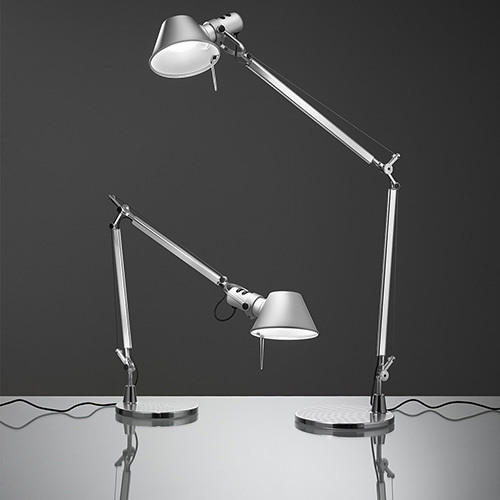 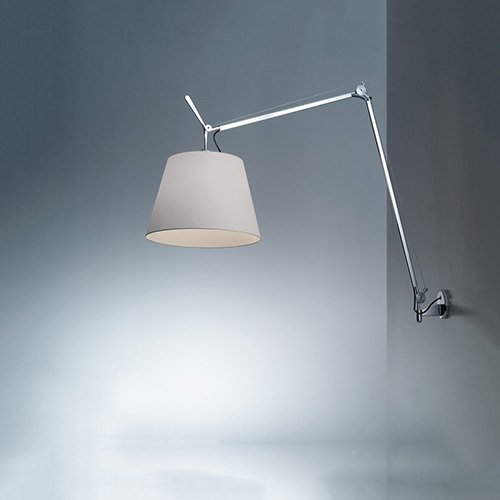 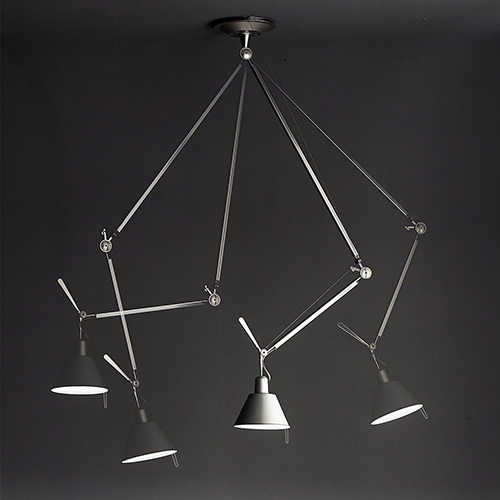 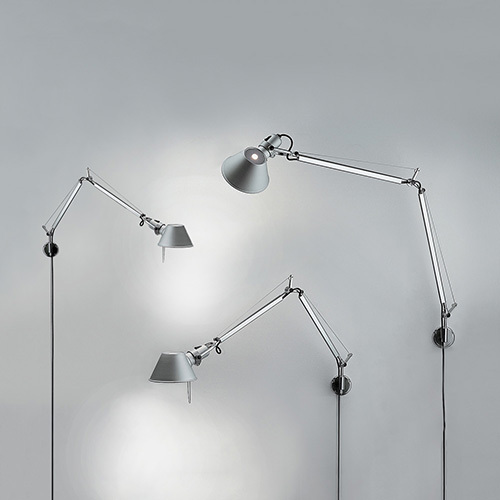 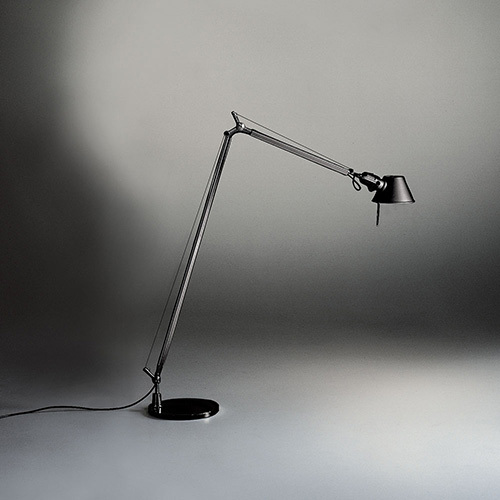 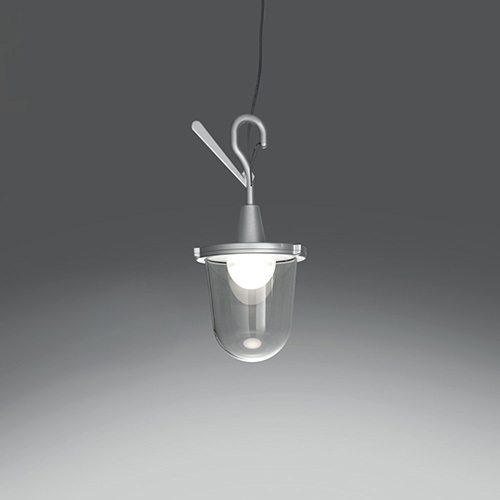 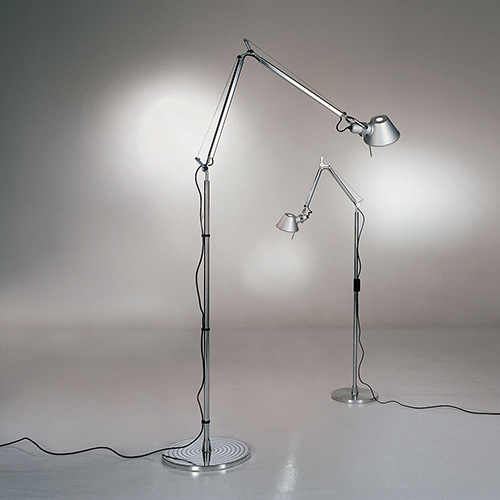 Tolomeo mega is available in table clamp, floor, wall and suspension versions. 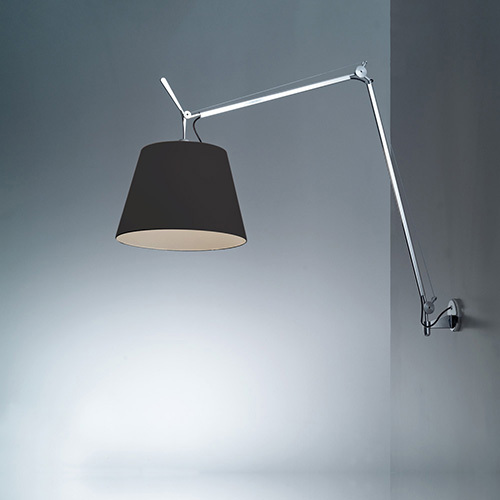 -Fully adjustable articulated arm in aluminum or matte black finish. 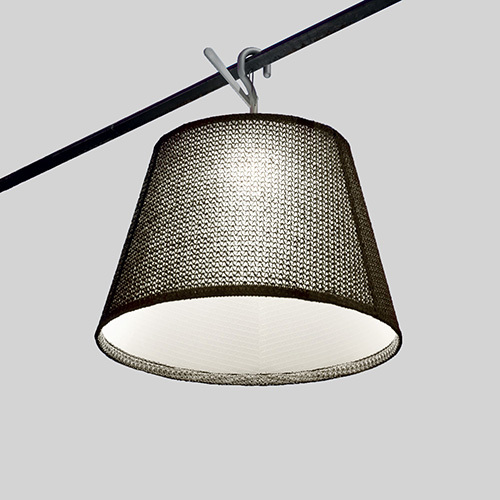 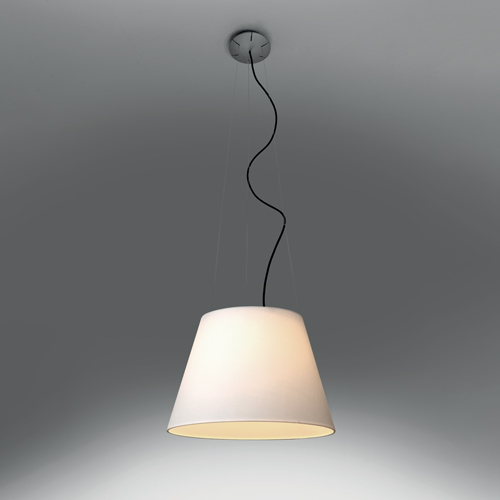 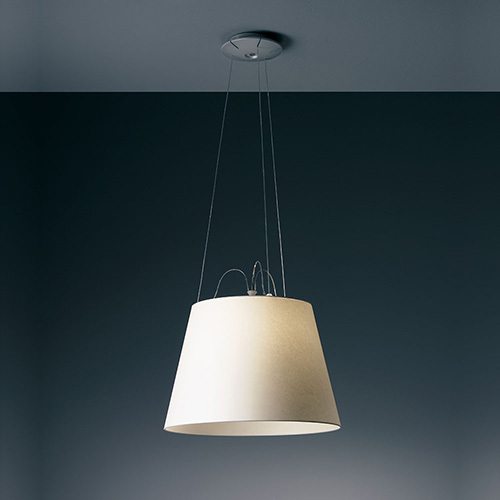 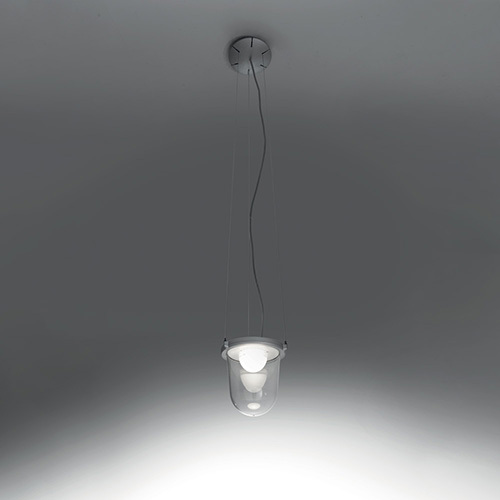 -Diffuser available in parchment paper, pale grey satin or black fabric.